Esther practices exclusively in family law. She has a strong public law practice, and regularly represents the Local Authority, parents, Guardians and the Official Solicitor at all stages of proceedings including appeals. She has recently represented a vulnerable mother with severe learning difficulties in a complex 9-day hearing in the High Court that involved the Latvian Central Authorities, domestic violence, Latvian and Urdu interpreters and the non-consensual adoption of a foreign national child. Esther also has valuable experience in the London and Gloucester Family Drug and Alcohol Courts representing clients addicted to prescription medication, illegal substances and with complex mental health problems. Esther has a busy practice in financial remedies, including proceedings under TLATA and Schedule 1. She is a forceful negotiator at an FDR and balances the costs of further litigation in achieving the best outcome for her client. She has recently represented a client from start to finish in a complex case MFPA 1984 cases in the High Court following an overseas divorce involving applications for injunctive relief, nondisclosure, overseas assets, and a fact-find as to beneficial interests of the third party intervener. Esther is regularly instructed in private law proceedings including injunctions, enforcement applications, fact-finding hearings and contested final hearings and has represented parties seeking Special Guardianship Orders and post-adoption contact. She has a particular interest in cases with an international dimension and has appeared in the High Court on several cases in matters engaging the Brussels II Convention (disputes as to jurisdiction and variation of foreign orders). She is currently in the High Court representing a father in a case of parental alienation. Esther is a strong and committed advocate who always ensures that the client is comfortable and confident in her representation. She is rigorous in her case preparation, and swift to respond to those who instruct her. Esther regularly provides training and leads seminars on topics including applications brought under ToLATA and Schedule 1, evidence in public law cases, public and private law case updates and child maintenance. Prior to practicing at the Bar, Esther at the AIRE Centre where she provided free legal advice and representation, ran training sessions on the rights of victims of human trafficking and drafted submissions to the ECtHR and CJEU. Previously Esther trained as a child protection officer with Save the Children where she worked with children, families, professionals and government officials in complex situations of abuse, violence and neglect in Liberia and India. Esther practices exclusively in family law. She has a strong public law practice representing Local Authorities, parents, Guardians and the Official Solicitor at all stages of proceedings including appeals. She has valuable experience in the London and Gloucester Family Drug and Alcohol Courts representing clients addicted to prescription medication, illegal substances and with complex mental health problems. Esther is regularly instructed in private law proceedings including injunctions, enforcement applications, fact-finding hearings and contested final hearings and has represented parties seeking Special Guardianship Orders and post-adoption contact. She has a particular interest in cases with an international dimension and has appeared in the High Court on several cases in matters engaging the Brussels II Convention (disputes as to jurisdiction and variation of foreign orders). Esther has a busy practice in financial remedies (from pre-nuptial and separation agreements through to contested final hearings), including proceedings under TLATA and Schedule 1. She is a forceful negotiator at an FDR and balances the costs of further of litigation against the overarching aim of achieving the best outcome for her client. She has recently represented a client from start to finish in a complex case that commenced in the RCJ under MFPA 1984 following an overseas divorce involving applications for injunctive relief, non-disclosure and overseas assets. "Esther Lieu was outstanding, she was supportive and explained my options very clearly. She was very understanding and knowledgeable." 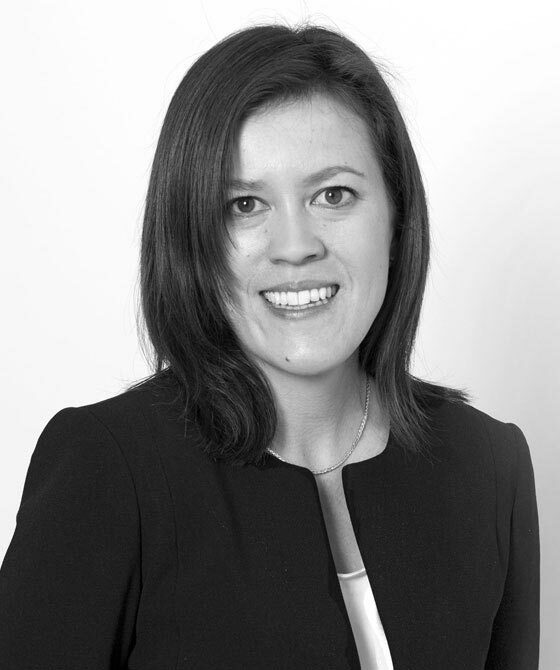 Esther Lieu is qualified to accept instructions directly from members of the public and professional clients under the Direct Public Access scheme. Esther Lieu, family law barrister at 3PB, provides summaries for three recent Court of Protection judgments for Family Law Week.